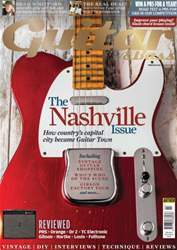 Hi Chris and the team, interesting issue [G&B January] and the Richard Hawley feature in particular, which having partly recovered from a total neck-down paralysis myself, I found very interesting. I sustained a spinal cord injury after falling headlong down just four stairs carrying a small bass bin nearly three years ago (after a Boxing Day gig). I ended up in hospital unable to move anything but my head, and with excruciating pain everywhere else. I couldn’t even tell where the electric shock-like pain was – it was just ‘everywhere’. I had no idea where my arms or feet were. It was not fun. After this, four months in hospital, learning to stand again, feed myself again… pretty much everything, as my movement returned – to a degree anyway.